With the popularity of such films as Alexander, 300, and its sequel 300: Rise of Empire a broader audience is being introduced (sometimes for the first time) to the warriors of ancient Greece. These films are generally poor educational tools, leaving the audience with many misconceptions; and often more questions than answers. From the Persian Wars (499–449 BC) till the Battle of Chaeronea (338 BC) the Greek phalanx was the dominant battle formation of the ancient Mediterranean and Near East. Against Persians, Carthaginians, and Etruscans the Greeks warriors triumphed. At Chaeronea, however, the Greeks met a superior tactical system: the Macedonian. While the Macedonian army was a well-balanced, combined-arms force of light and heavy infantry and cavalry (as were most Greek armies by this time, though to a lesser degree) it is the Macedonian phalanx that revolutionized warfare for the following century-and-a-half, superseding the earlier Greek hoplite version. 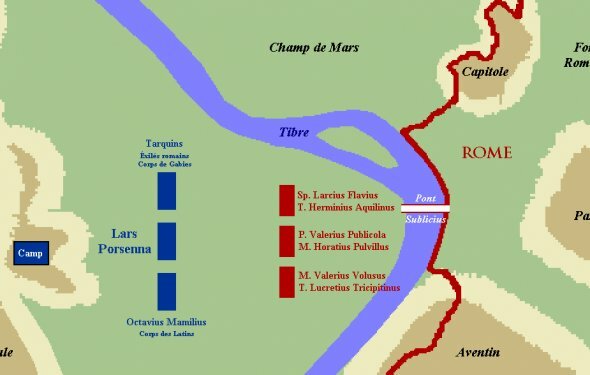 The Macedonian phalanx dominated the battlefield until the coming of the Romans, who fought in a very different formation, utilizing a markedly different tactical system: the legion. The Romans defeated phalanxes at nearly every encounter; and with the growth of their empire the phalanx as a tactical system largely disappeared. Polybius and Livy examined the difference and advantages of each tactical system in depth; and they were MUCH closer to the events than we are, so their opinions should be given much weight. Based upon their analysis and that of other sources as well, we will briefly compare and contrast the three dominant tactical systems of the Classical World; from the Persian Wars to the Roman conquest of the Hellenistic Kingdoms. It is important to understand that the Greek hoplite phalanx that defeated the Persians at such battles as Marathon (490 BC) and Plataea (479 BC) was a formation consisting of citizen-soldiers. They fought primarily as “heavy” (close-ordered, close-quarter fighting) infantry. The citizen-soldier heavy infantryman of the Greek city-state (polis) was referred to as a hoplite (man-at-arms). His weapons and equipment consisted of a large round shield (aspis), 36″-40″ in diameter; and a long, heavy (modern reconstructions are from 4-5lbs) thrusting spear (dory) 7-9 feet in length. A sword (xiphos) was his backup weapon, and for additional defense he wore various pieces of armor, collectively referred to as his panoply. 5th century Greek hoplite. 1-11: shield, deconstructed into various parts. 12: Corinthian-style helmet, with crest. 13: arming cap of felt, worn under helmet. 14: “lineothorax” style of cuirass. May have been made of layers of glued line, or leather covered with linen. 15: bronze greaves. 16: garters tied around ankle to support greaves, and limit chaffing. 17: “dory” (spear), with leather wrapped around grip. These hoplites fought in a tightly-packed rectangular formation called a phalanx. Within the phalanx, each man’s shield overlapped that of the man to his left, and he partially sheltered behind the shield of the man to his right. The hoplites in phalanx deployed typically in anything from 6 to 12 ranks deep; though the later Theban phalanx was famed for the greater depth upon which it relied, deploying in anywhere from 24 to 50 ranks (referred to as “shields”) deep. The Classical Age hoplite phalanx relied on a tactic called othismos (the push of shields), a shoving contest in which the hoplites braced and pushed their shields into the backs of their comrade in the rank in front of them in the phalanx; and the weight of the phalanx as a whole attempted to bowl the enemy over or push them back. In this formation only the first and perhaps the second rank could actually use their spears (or swords); the rest merely added their weight to the shoving contest. Pushing the enemy back was more important than actually killing them during this initial phase of the melee. Once large formations of soldiers began to stumble backward, they lost cohesion and began to crumble. So the point of othismos was to drive the enemy backward, and eventually to shatter their formation. Once shattered and routed, the hoplites would pursue, cutting down the fleeing enemy from behind. It was during this later phase of the fighting that the most number of casualties were inflicted and sustained. Ancient Rome was a thriving civilization that began growing on the Italian Peninsula as early as the 8th century BC. Located along the Mediterranean Sea and centered on the city of Rome, it expanded to become one of the largest empires in the ancient world.